Ziaja ‘Cocoa Butter’ Range – My Winter Skincare Saviour. Your skin is so soft, newborn babies are envious. October is finally here! Welcome back to the pumpkin spice lattes, toffee apples, gorgeous autumnal colours and of course flaky, weather-sensitive skin. During the summer, when the central heating systems are turned off, we don’t really need a heavy moisturiser and I love to use something nice and light like Cocoa Brown’s ‘Chocolate Whip’. However, now that Mr.Frost has returned, I need something a little more rich to keep my skin in tip-top condition. Let me introduce you to Ziaja’s ‘Cocoa Butter’ range. 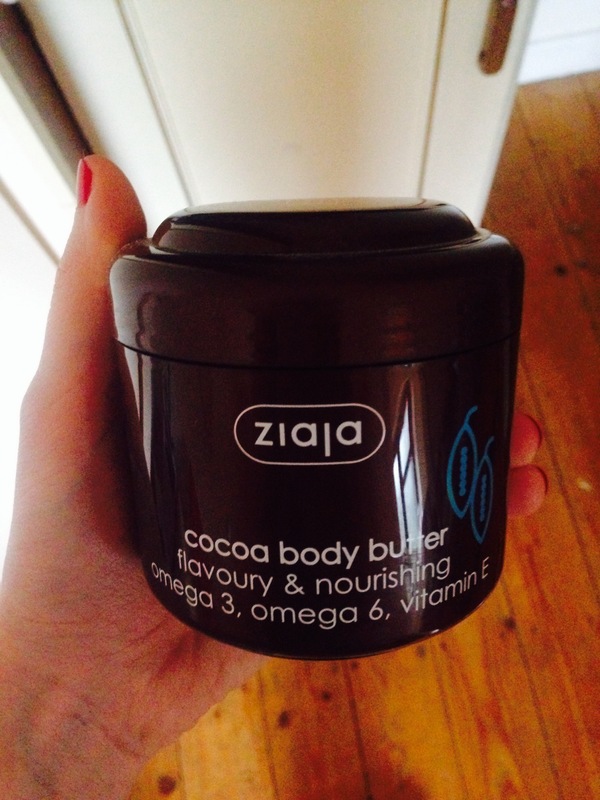 First up, I was sent this beautiful ‘Ziaja Cocoa Body Butter’ (RRP €7.99). Filled with vitamin E, cocoa butter and omega 6 & 3, this formula is designed to give you satin smooth skin. It smells gorgeous – reminiscent of chocolate, so best to avoid if you’re on a diet. What I like best about this product is that it absorbs really quickly. I hate sticky moisturisers but this one soaks into skin almost immediately – perfect if you’re in a hurry. I have almost finished the container and will definitely be repurchasing! I will admit that even though I’m a skincare addict, I never really believed in the benefits of hand cream until just a few weeks ago. Like I said, I cannot stand the sticky texture of moisturisers and I find that hand cream is often the worst culprit – nobody wants to be walking around with greasy palms! 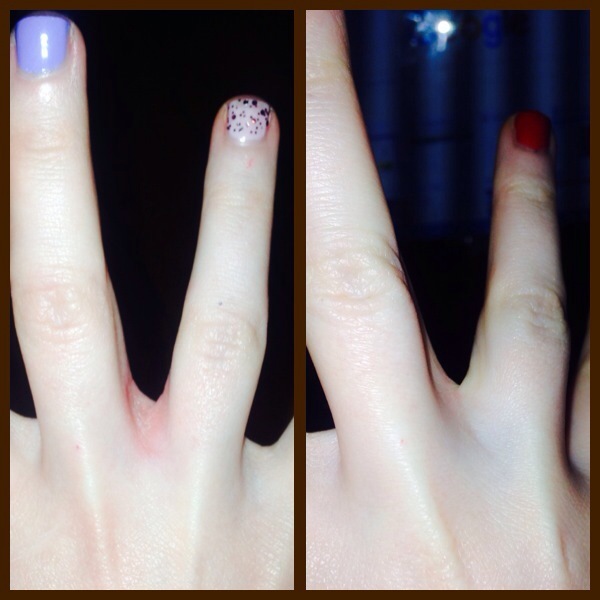 However, because I’m studying at the moment and handwriting essay after essay, I recently noticed that the skin around my fingers has become irritated and dry. 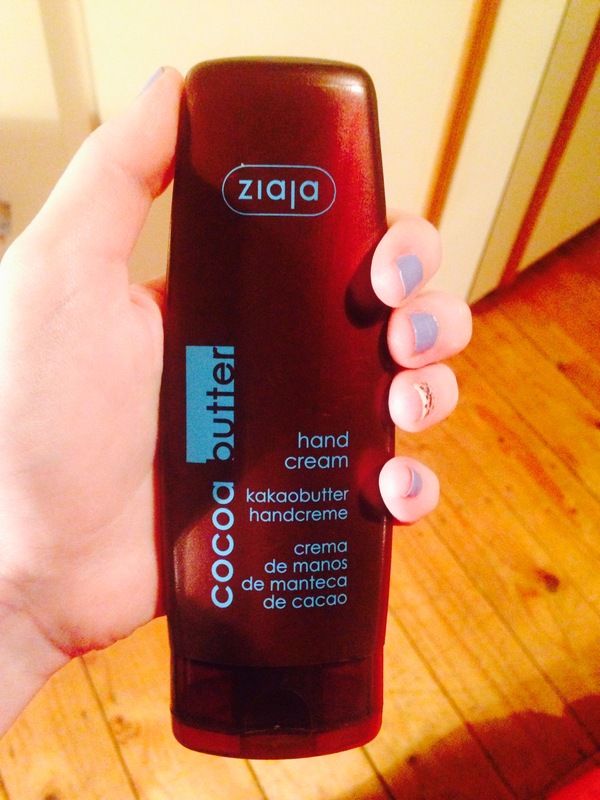 So off I went in search of this ‘Ziaja Cocoa Butter Hand Cream’ (€2.99) only to discover that I have been missing out for years! After just three days of use, the dry patches on my hands have cleared up completely (results photographed below). Again, the formula is extremely fast absorbing (less than 60 seconds) and the scent is delicious. Ziaja promise that this product will also help strengthen nails over time, which I’m really looking forward to. At that price point, who could resist? Ziaja products can be purchased online here. I’m very impressed by the quality of their products, for such affordable prices. Have you read my review of their ‘Natural Olive’ shampoo and conditioner? Let me know if you have tried any of their products – I would love some recommendations. « Competition Time – ‘Miss You Already’ Swag Bag Up For Grabs. Serenity Candles’ “Wax Melts” – Review. Alex Steinherr x Primark “Pollution Solution Dual Textured Pads” – Review. “All Roads Lead to Rome” – A Travel Guide. PHYT’S “Panacée” Moisturiser – Review. “To Me, From Me” – A Valentine’s Day Gift Guide.